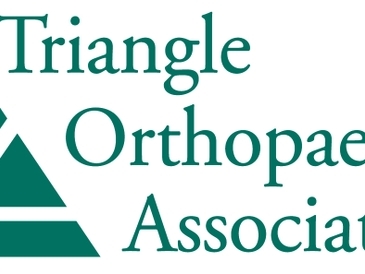 CHAPEL HILL, N.C. – Blue Cross and Blue Shield of North Carolina (BCBSNC) and Triangle Orthopaedic Associates (TOA) are expanding their efforts to provide better quality and cost options to BCBSNC customers through a coordinated care arrangement. The two organizations today announced the first bundled payment model for total hip replacement surgeries in North Carolina. Effective Nov. 1, 2013, BCBSNC customers, including State Health Plan members, became eligible to pay a flat fee for hip replacement surgeries performed at North Carolina Specialty Hospital in Durham. The one-time payment will be 10-20 percent less than the average cost of hip replacements in North Carolina. BCBSNC customers who are interested in taking advantage of this payment model can contact TOA at 1-800-359-3053 for more information. **BCBSNC customers under FEP and Blue Medicare do not qualify for this payment model. Blue Cross and Blue Shield of North Carolina is a leader in delivering innovative health care products, services and information to more than 3.74 million members, including approximately 1 million served on behalf of other Blue Plans. For generations, the company has served its customers by offering health insurance at a competitive price and has served the people of North Carolina through support of community organizations, programs and events that promote good health. Blue Cross and Blue Shield of North Carolina was recognized as one of the World’s Most Ethical Companies by Ethisphere Institute in 2012 and 2013. Blue Cross and Blue Shield of North Carolina is an independent licensee of the Blue Cross and Blue Shield Association. Visit BCBSNC online at bcbsnc.com. ® Marks of the Blue Cross and Blue Shield Association. All other marks are the property of their respective owners. 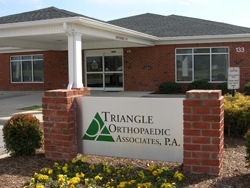 Triangle Orthopaedic Associates, P.A., is the Triangle’s largest physician-directed medical practice, caring for patients through state-of-the-art medical treatment, orthopedic surgery, physical medicine and rehabilitation, rheumatology, general surgery, physical therapy, occupational (hand) therapy, and other medical and diagnostic services responsive to the needs of patients living within the counties TOA serves. For more information, visit triangleortho.com. *These results are based on the results of 100 knee surgeries performed in 2013.